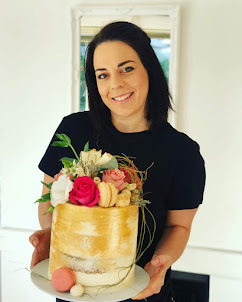 Durbanville wedding cakes- This two tier wedding cake was made for a wedding at Groenvlei wine estate. The bottom tier was white chocolate and the top tier was turkish delight cake. 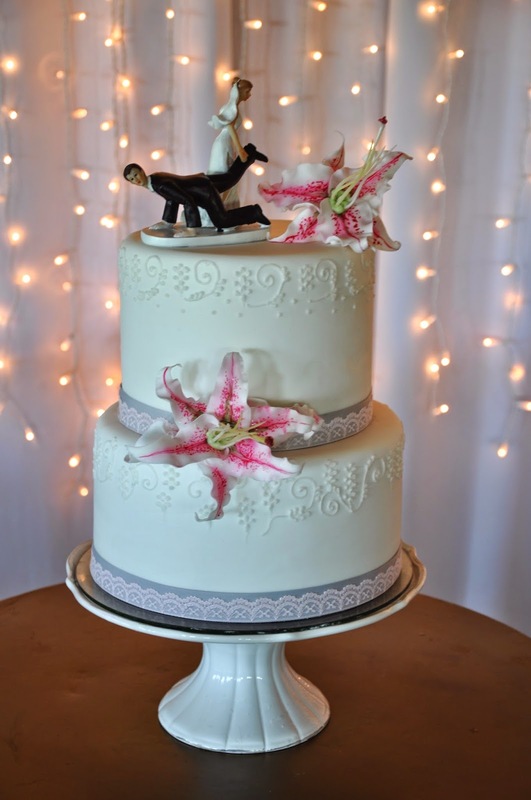 Stargazer lilies was made out of fondant and attached for a soft look. The cake topper was a bit much, but hey...each to his own right?